Artur Sadlos is an artist based in Japan. 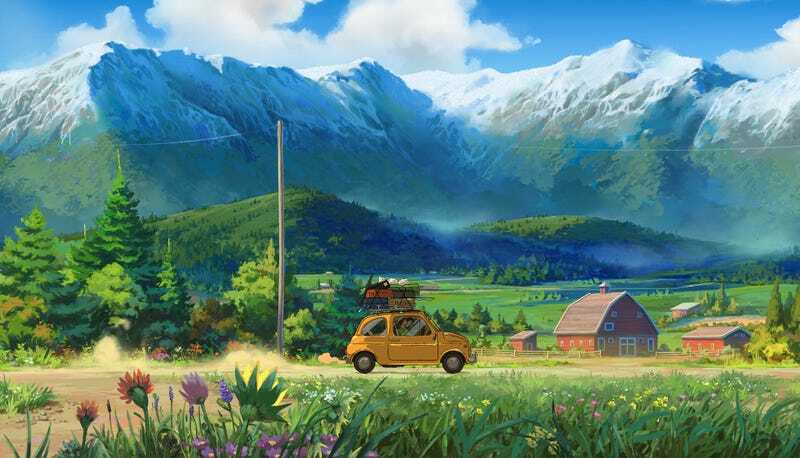 He’s worked on stuff like League of Legends, The Witcher 3 and For Honor, but also that wonderful Ghibli x Oregon tourism ad from last year. We actually featured Sadlos’ work as one of the first ever Fine Art posts, but since that was eight years ago I figured we could take a look at some newer stuff (like gorgeous backgrounds from the Oregon clip). You can see more of Artur’s stuff at his ArtStation page.